Impact-Resistant, integrated body design with durable rubber cover provides outstanding protection. 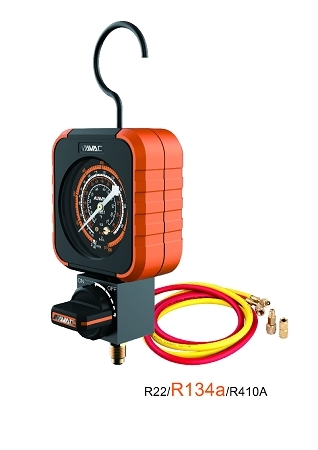 Precision pressure gauge with Class 1.0 accuracy, -30 inHg to 800 psi. Comes in a carrying case, with 5’ Hose-set (Yellow/Red) included. Hose: Red 1/4"-1/4", Yellow 1/4"-1/4"
74 TruReward$ points will be placed in your account when you buy this item.